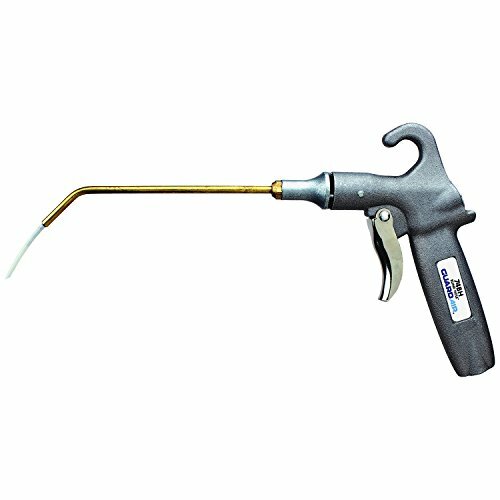 The Guardair Blind Hole Safety Air Gun with 12-Inch Angled Tip Brass Extension. Features: Patented protective air cone protects operator from dangerous chip fly-back. Delivers a high velocity jet of air into deep holes and crevices to flush out chips and dirt.